Join us for 3 nights in beautiful Marrakesh and spring board your portfolio & creativity for 2019 and beyond. I shot my first wedding in Morocco in 2016 and totally fell in love with it as I’m sure you will too. The colours, the light, the vibrancy is like no other and together we will make sure you leave with not only everything you’ll need for a styled shoot publication, but with a fresh burst of creativity, drive and vision. Yes, there’ll be talks on growing your business. Yes there’ll be networking. Yes. there will most definitely be yoga on the roof. But most of all there will be three separate shooting opportunities covering the details, bridal editorial images as well as epic elopement shots in the desert, camel included! Gowns will be provided and styled by the amazing Daisy Keane from designers such as Hayley Paige, Charlie Brear, Eliza Jane Howell and more. 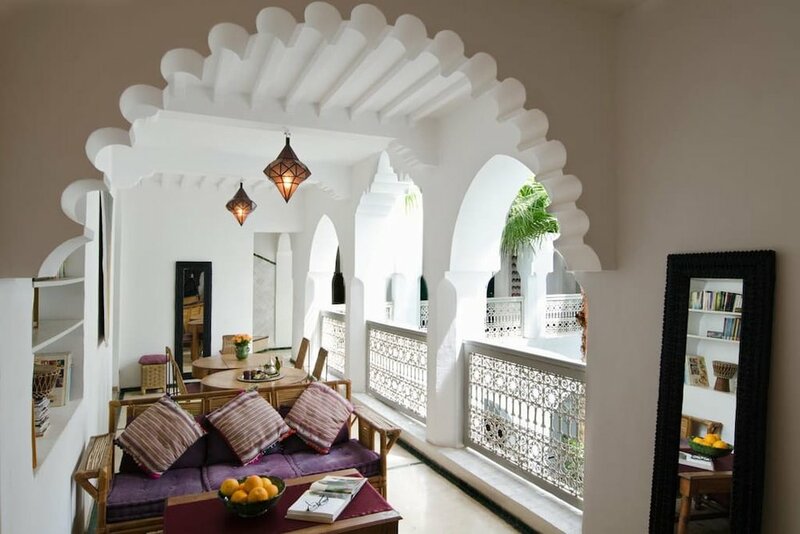 3 Nights Accommodation & Breakfast in A Beautiful Riad in Central Marrakesh (see above) - a private sanctuary with the medina on our doorstep (see above). License (and encouragement!) to get your images from the 3 days published (non commercial release). If you’re ready to level up your photography business, make new connections and fire up your photography business for 2019 and beyond, join us in March at this magical location and manifest the career of your dreams. Tara is a wedding and fashion photographer based in the United Kingdom. Tara’s work has been featured in top magazines such as Hello!, You & Your Wedding, Perfect Wedding and has photographed weddings and bridal editorials around the world including Italy, Morocco and Ireland. Your place is secured once you have made a deposit payment (non refundable) or full balance online and received your order confirmation email (usually within 48 hours of booking). The balance payment can be made at any time, including as one full payment at the time of booking, but must be made at least 4 weeks prior to the start date of the workshop. Accommodation is based on the sharing of a twin/triple room between no more than 2 attendees. Where possible, we will provide attendees with their own room, subject to availability. It is your responsibility to ensure you have all necessary travel documents, visas and full insurance (for both equipment as well as medical/travel issues) before the start of the workshop itself. We reserve the right to cancel any workshop prior to the start date due to low customer bookings, personal injury/illness of the tutor or members of the leadership group or force majeure. In the event of cancellation by us, the following options will be presented to you as our customer - your choice of a full refund of workshop fees paid or transfer to alternative workshop. In the event of cancellation by you, if more than 8 weeks before the workshop you will receive the full balance less the non refundable deposit. The itinerary is a guide and may be subject to change if necessary due to weather, transportation issues or other factors which can occur with little or no notice. Workshop attendees have a non commercial, open license on the images they take during the workshop and are free to submit their images for publication.